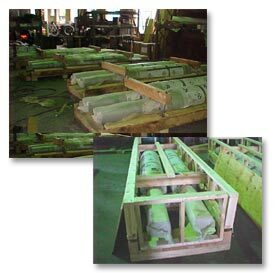 Before shipment, each piece is mechanically inspected to ensure rigid dimensional accuracy according to specifications. Non-destructive testing methods include ultrasonic, hardness, magnetic particle, and dye penetrant. Each piece is prepared and shipped, by truck, rail, or ship, meeting timely deliveries in accordance to your specifications.